[From www.statnews.com] Pandora now has more than 16 million individual monthly listeners over age 55 – and its fastest growing segments of new users are people in that bracket. Not surprisingly, over the past two years, the company has seen a rapid rise in interest from drug advertisers, according to Lee Ann Longinotti, who runs Pandora’s business with health care advertisers. 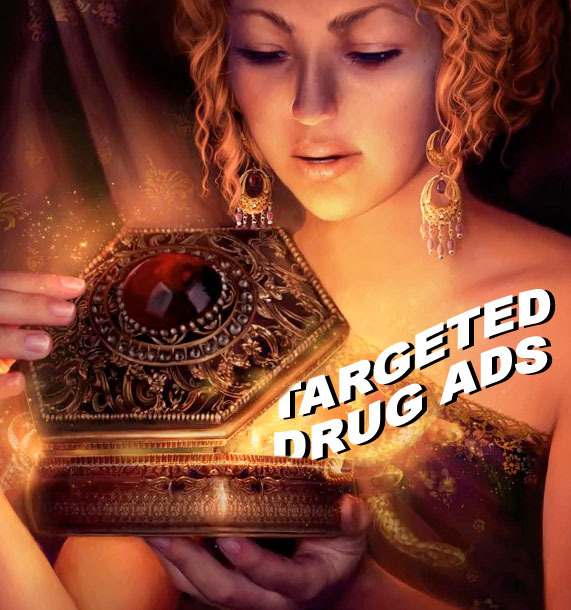 Pandora now counts 20 drug makers among its recent advertisers, including Pfizer, Merck, and Johnson & Johnson. They’ve promoted 40 different prescription and over-the-counter drugs, for conditions ranging from diabetes to erectile dysfunction to a circadian rhythm disorder common in the blind. To target users more precisely, Pandora struck a partnership a year ago with Crossix, a company which mines anonymized patient data from electronic health records, insurance claims, and pharmacy transactions. That’s allowed Pandora to create profiles of the types of people who are most likely to be interested in drugs for a certain condition. Then it helps the pharma company follow those users around as they listen to music on different devices throughout the day. As someone who does internet searches on health issues as part of my job, I think these targeted ads are hilarious. If anyone were to sit down and examine my searches for the past six months they would think I have every disease known to mankind … and the ads certainly prove that if nothing else I’m really messing with somebody’s computer algorithms. [From worldofdtcmarketing.com] As CEO of Facebook Mr. Zuckerberg’s modus operandi as a leader is to fix things long after they have broken , rather than to prevent problems in the first place. For pharma that’s a major issue. This is an ad that I keep seeing on Facebook as I was doing some research for a client. I did an analysis of the comments and 85% were negative. If I was a DTC manager or media buyer I would not proceed to give more money to the this monster. 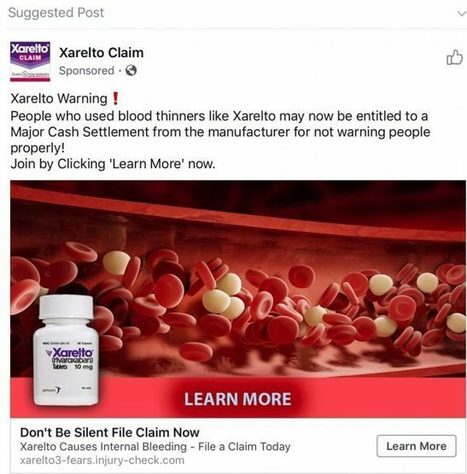 Obviously Xarelto has risks, like any prescription drug, but hosting ads for ambulance chasers who profit off patient woes is not a platform I would ever recommend to clients. [From www.buckscountycouriertimes.com] As investigations target major drug producers for their alleged roles in the nation’s opioid abuse crisis, at least one expert says a 20-year-old settlement with tobacco companies could add perspective to the legal battles to come. 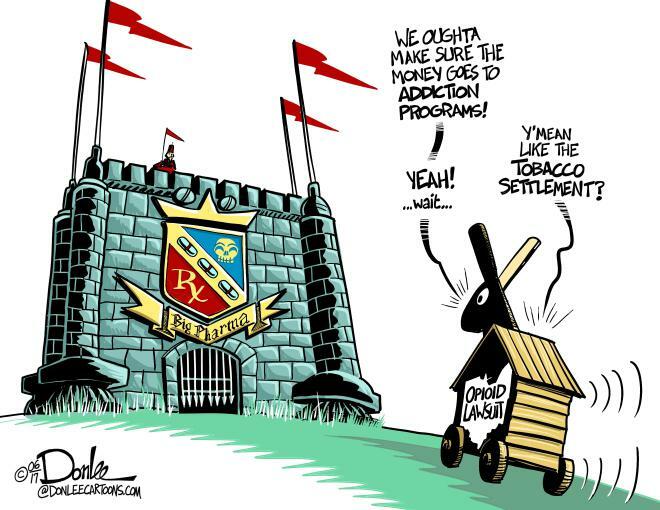 Starting in the mid-1990s, authorities in 46 states began filing lawsuits against major tobacco firms, arguing they knew their products were addictive and unsafe, and thus holding them responsible for health care costs incurred by the states to treat tobacco customers. Phillip Morris Inc., R.J. Reynolds, Brown and Williamson and Lorillard agreed to pay a minimum of $206 billion over the first 25 years of the agreement. Scott Burris, professor of law and public health at Temple University’s Beasley School of Law, said 41 state attorneys general now investigating pharmaceutical companies and distributors and their role in the opioid abuse epidemic are essentially looking for evidence to support a similar argument: that opioid producers downplayed the dangers of their products. “It makes sense, given plenty of evidence that (pharmaceutical) companies were marketing the hell out of these drugs, that it warrants an investigation,” Burris said. Next articleIs FDA Most Science-Based and Less patient Centric Now that Gottlieb is in Charge?